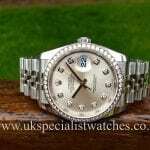 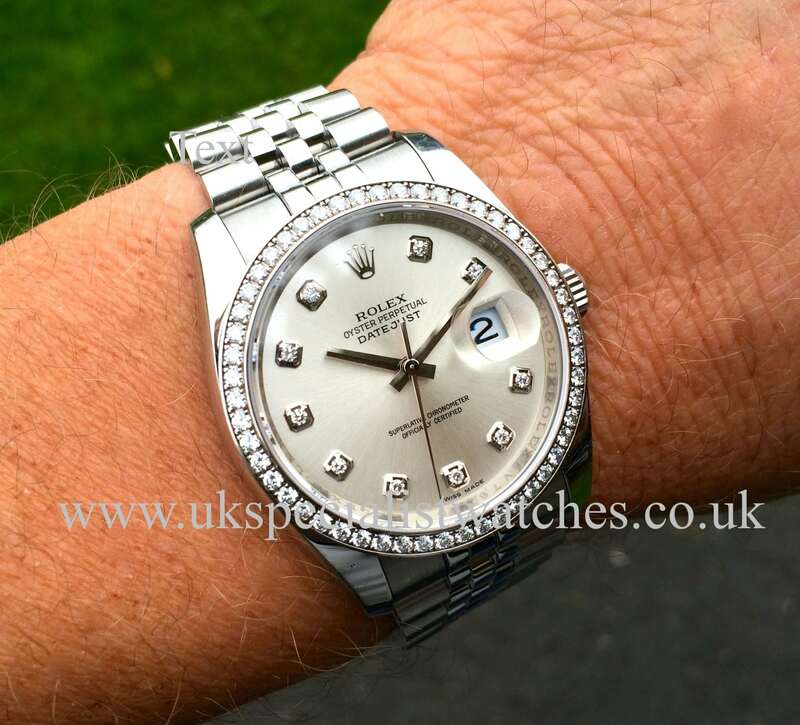 This is the latest model 36mm Datejust with a factory Rolex original Diamond bezel and a rather elegant silver dial set with 10 brilliant white diamonds marking each hour. 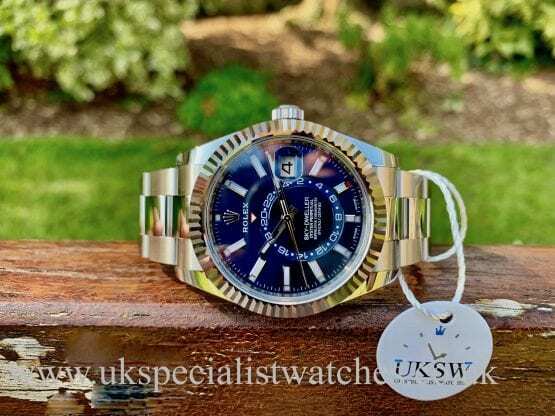 Fitted to the very latest solid link Jubilee bracelet and concealed Crown clasp, sapphire crystal glass,water resistant to 100 mts. 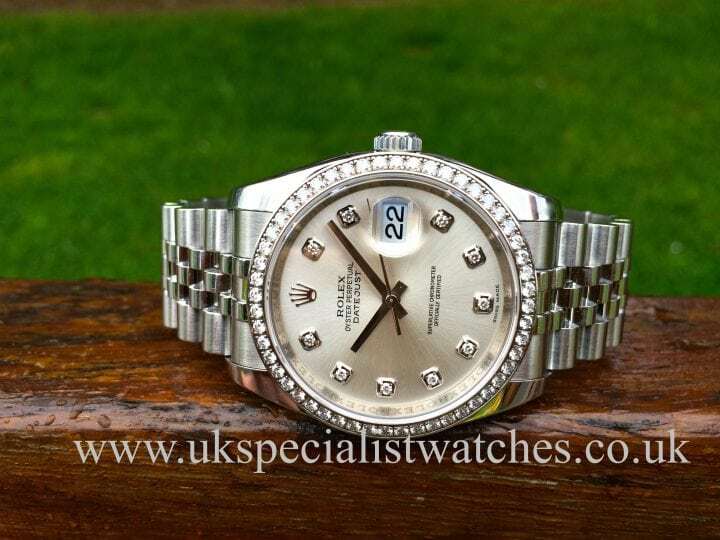 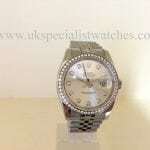 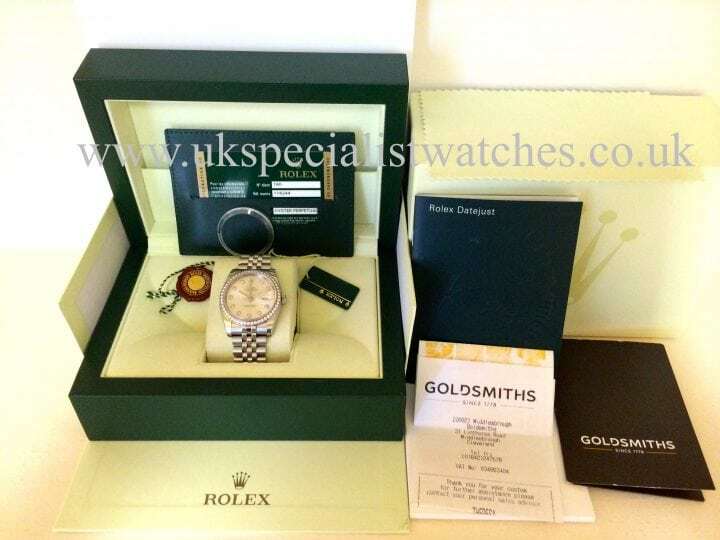 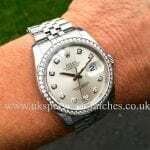 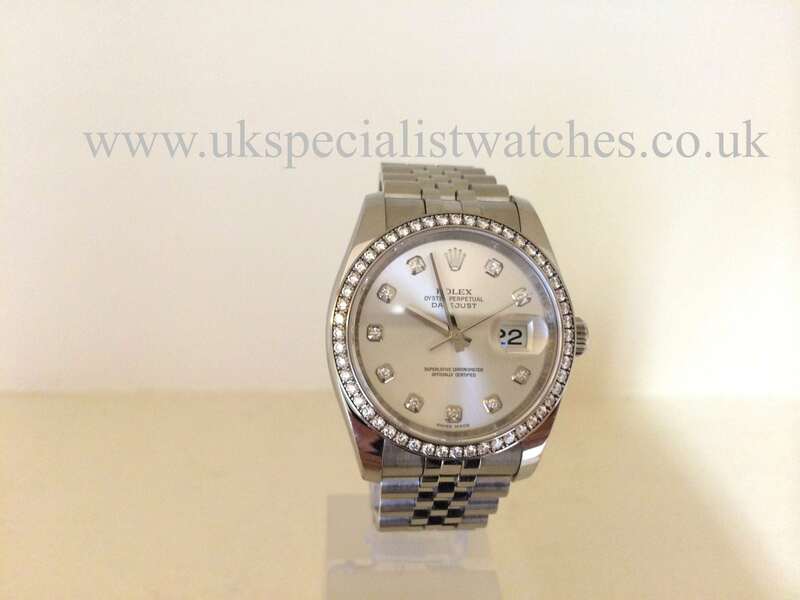 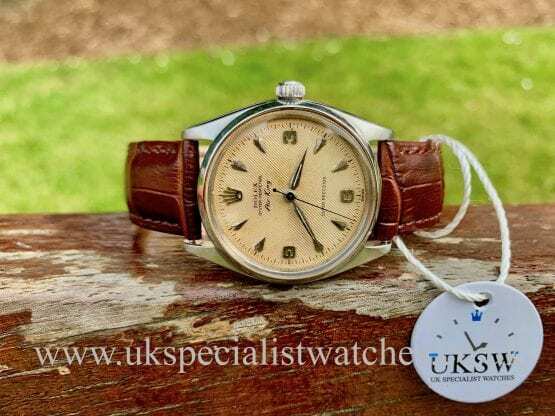 Comes complete with boxes, both swing tags, bezel protector, UK supplied from Goldsmiths in Feb 2010 (Receipt included) this watch costs today close to £12000.